1930's tin litho advertising tray for the Geo. 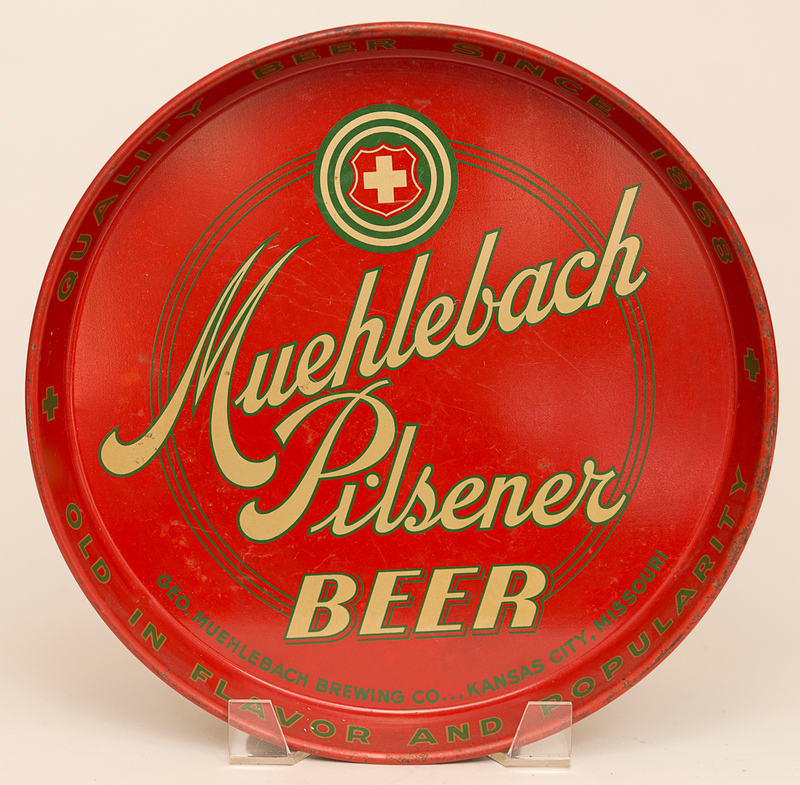 Muehlebach Brewing Co of Kansas City, MO with strong red and green graphics and script logo. This tray is in great shape with nice gloss and color.